Twitter announced the ability to create your own remarketing campaigns from the Twitter Ads interface. While remarketing has been possible on Twitter since December, you're no longer required to go through a third-party partner to set it up. In this post, I'll walk you through the campaign creation process to help you build your first Twitter remarketing campaign. Remarketing (also known as retargeting), allows you to show unique ads to people who've visited your website before. It's a great way to bring back people who didn't become a customer the first time they came to your site, or previous customers who you want to engage with your site again. The process of creating a Twitter Ads Remarketing Campaign is simple and completely self-serve. 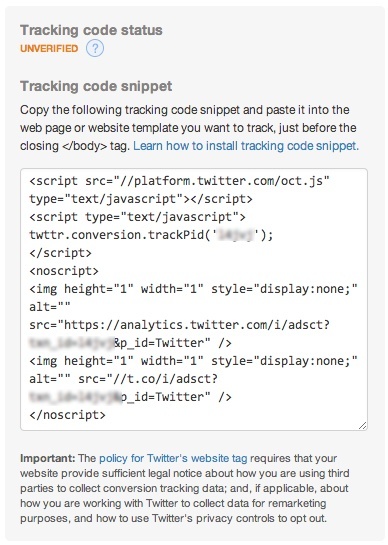 First, you'll need to create a new website tag from within the Conversion Tracking tab. You can even edit one of your existing conversion tracking tags to collect data for remarketing. 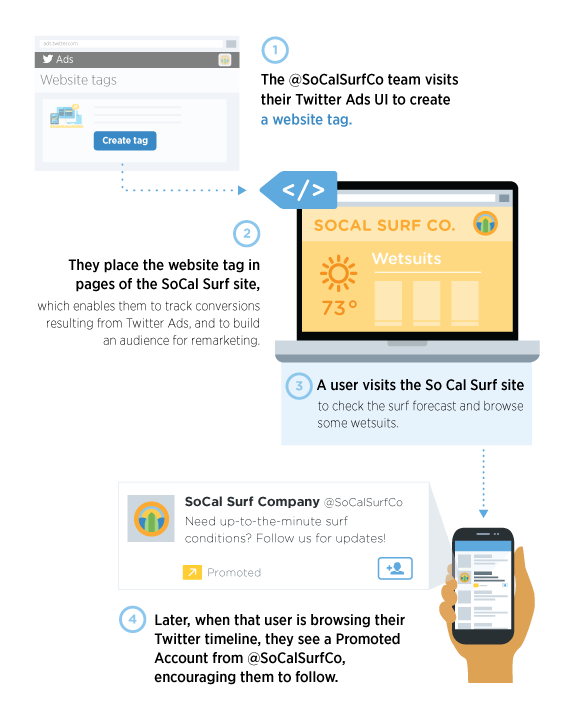 Next, you'll place the website tag onto the pages of your site that you'd like to collect visitors from. This could either be a high traffic page, like your home page, or it can be a page only engaged visitors will visit, like your pricing page. Now, when visitors come to this page, they'll be added to a "tailored audience." Now all you need to do is create a campaign that targets this tailored audience. When creating your campaign, choose "Tailored audiences" as your targeting type, then choose "Website visitors" as the source. Finally, choose the remarketing audience you just created. That's all it takes! Your website visitors will begin seeing your promoted account or tweets in their timelines and will be encouraged to consider you again. To make the most of your promoted tweets, try including a special offer inside a Website Card.